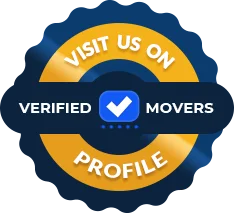 United transportation moving and storage moved me to Phoenix effortlessly and I would give this company more than 5 stars for sure if I could. They arrived early in the morning and packed up my entire household in one hour. I was absolutely impressed with the movers’ performance. I have never seen in my entire life so efficient and polite service providers. They managed to turn an overly stressful transition into a smooth experience. Overall impression was more than positive, they really went above and beyond to meet all my requests and to accomplish each task successfully. I was moving overseas and I knew nothing at all about relocating. United transportation provided a comprehensive assistance from start to finish guiding me patiently through the process. They took the time to explain all moving associated details so I could get a bigger picture of the task. The pricing was very convenient considering other companies’ offers so I had no doubt about who to hire after all. It was a straight-forward decision for me and it eventually proved to be the wise one. Much to my surprise nothing went wrong considering the complexity of the move. 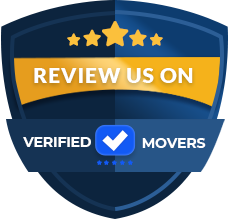 I got an outstanding service and I’ll be happy to recommend the movers to other people. After contacting several interstate moving companies United transportation seemed like the most logical choice. Competitive pricing, nice and friendly attitude and transparency are just some of the benefits I got while working with them. I had a lot of bulky furniture to take care of and I could rely on them completely and trust them even with the most delicate of items. I would most definitely give them more than 5 stars if I could. Those hard workers deserve a recommendation and a nice tip as well. I’ll make sure to spread the word about their professionalism and to recommend them to my people. United transportation team handled my interstate move perfectly from start to finish. There were no delays whatsoever. I used another company’s services in the past, but this time I was surprised with the commitment they showed on moving day. Not only did they show up on time, but also they were willing to tackle some additional tasks that weren’t included in the quote. They disassembled my dinning table in no time and FREE OF CHARGE! Doing business with them was a real pleasure and I hope we will meet again if I have to move in the future. They are highly recommended and appreciated! My move from Cape Coral to San Jose was a seamless experience thanks to United transportation. The crew that arrived on time got down to work immediately. I decided to trust them with some of my delicate items – fragile glass items, TV, artwork and some pieces of furniture. This company deserves definitely more than 5 stars because all my goods were delivered after 9 days, which was earlier than expected. Even the most delicate items reached my new place intact, without a single scratch. I got a reasonably priced service that turned out to be even better than expected. I used United Transportation for my recent move and I had a wonderful experience. This was my 4th time moving and I decided to give a new company a shot after the previous company I had used in the past did a not so great job the last time. They were experts and fully explained everything in great detail before, during and after the move was completed. I called in and booked my move in the beginning of the month and scheduled it for the beginning of the following month. I had to change my dates twice which they were able to accommodate with no additional costs. I received a call to confirm the pickup and the movers showed up within that time frame. They worked quickly but carefully to pack and load my items. I received numerous updates throughout the trip and I knew when to expect my items. On the day of delivery, the movers arrived and unloaded everything and even put the boxes in the correct rooms. I am so thankful I found this company and will be using them moving forward. United Transportation makes it their mission to handle every move in a timely and budget-friendly way. Each customer is on the top of their priority list. They understand how important it is to have a contact throughout each move. They will assign you a person that you can reach 24/7. This consultant will be able to answer all of your questions while providing the best customer service. The company is also available by email or fax. United Transportation offers long distance and international moves. They will provide a non-binding or binding written estimate, at your request. If you are moving internationally, they recommend you do your homework on your new country. This company will also provide door to port and port to door service to any world destination. They are familiar with all of the moving practices overseas. They also have the sources to make your move seamless and easy. Normal moves are stressful, they understand that international ones are even worse. They include special wrapping, packing and crating services to ensure safety. During long distance moves, they strive to surpass all expectations. They recommend having an accurate inventory of all of your items to ensure a correct estimate. This will help you budget correctly for you move! For long distance moves, this company recommends having additional insurance. All companies have to have basic insurance. This covers 60 cents per pound per article. If something happens during your move, it will not even cover the cost of the item. Find out if your homeowner's insurance covers your household goods throughout the move. 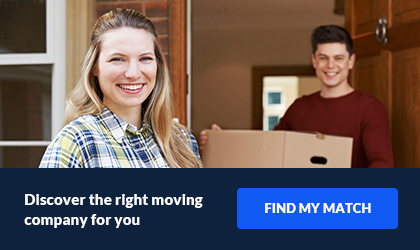 They also recommend setting up your move well ahead of your move date. Summers can be extremely busy, so make sure there is plenty of availability! Regardless of where your are moving to and from, United Transportation has you covered!